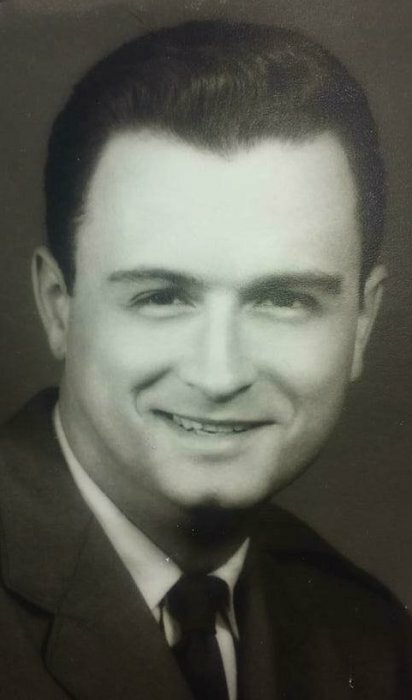 Obituary for Sanford Charles Freeborn, Jr. | McCombs Funeral Home Inc.
Sanford Charles Freeborn, Jr., 74, of Cape Girardeau, passed away Thursday, August 23, 2018, at the home of his daughter in Jackson. He was born February 25, 1944, in Gowanda, New York. Sanford was a veteran of the U.S. Air Force, serving honorably from February 19, 1965 to October 18, 1968, during the Vietnam War. He was an OTR truck driver and was most recently employed by Wayne Millington in Dexter, Missouri, retiring in 2010. He shared two daughters with his beloved companion of 32 years, Glenda Goza. He was preceded in death by Glenda and his parents. Loving survivors include two daughters, Jennifer Huffman (Darrin Baker) of Jackson and Kristy (Todd) Miller of Cape Girardeau; and ten grandchildren, Kendra (Brad), Josh, Austin, Dylan, Baylie, Chloe, Lucas, Christian, Jacqueline, and Jonathan. Friends are invited to military honors at 1 p.m., Friday, August 31, 2018, at the committal shelter of the Missouri Veterans Cemetery in Bloomfield. To assist with cremation expenses, the family appreciates memorial contributions to McCombs Funeral Home and Cremation Center in Jackson. Donations may be made in person or by visiting Sanford’s obituary page at www.mccombsfuneralhome.com. Online viewers, please refer to the green APPEAL FOR DONATIONS tab beneath Mr. Freeborn's photo.